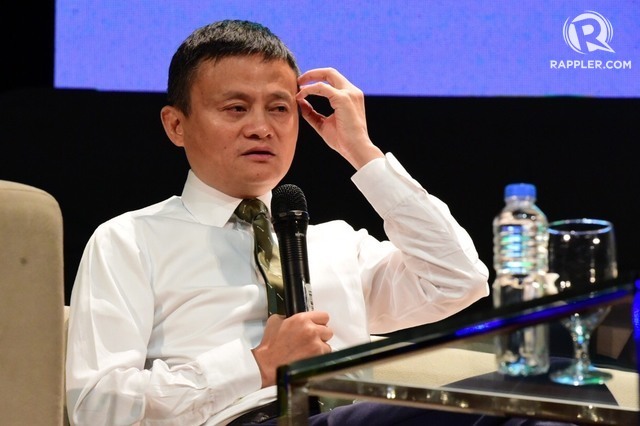 MANILA, Philippines – The Philippines’ slow internet had even the ever-optimistic Jack Ma, founder and executive chairman of global tech giant Alibaba Group, frustrated. “I arrived late last night and I tried to test the speed of Philippine internet… It’s no good,” the Chinese tycoon said in a forum at De La Salle University on Wednesday, October 25, after having been awarded an honorary degree in Technopreneurship. The remark drew laughter from the audience, which happened to include Globe Telecom chief executive officer Ernest Cu and PLDT chief revenue officer Eric Alberto. Later on, Presidential Adviser on Entrepreneurship Joey Concepcion once again drew attention to both firms when discussing the slow internet in the country. Last May, Akamai Technologies’ Global State of the Internet Report showed that the Philippines has the slowest average internet speed in Asia Pacific. Its average connection speed is just 5.5 mbps, falling short of the global average internet connection speed of 7.2 mbps. Many observers blame the situation on the duopoly in the Philippine telco sector between Globe and PLDT. For a time last year, it seemed that more competition would come from the domestic front in the form of San Miguel Corporation (SMC) and its would-be partner, Australian firm Telstra Corporation. But that deal fell through and the saga of the search for a 3rd major player to provide more competition to the two established firms took another turn earlier this week when the Court of Appeals affirmed Globe and PLDT’s P69.1-billion deal to split SMC’s telco assets. Ma, however, took a diplomatic approach to the situation, pointing out that the business sector should simply focus on solving the problem. “Honestly, it’s unfair to blame anyone for slow internet. Opportunity exists in areas most people complain about. If you can solve a complaint, you have a chance,” he said. “So that’s not an excuse for the telcos but it’s a great opportunity for telcos to invest [in providing more bandwidth to users]. This is an investment where I guarantee you will get your return back,” Ma said.